You can almost hear the cat thinking, "How did that happen?" Or "How can I blame the dog?" 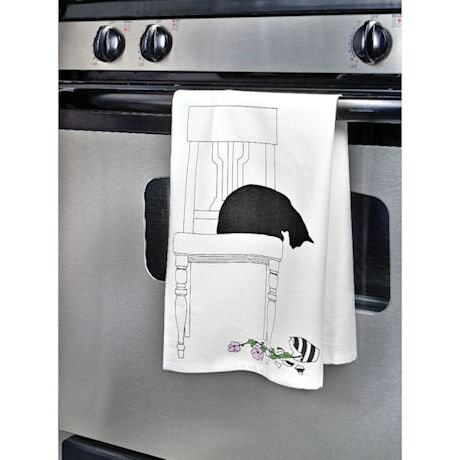 Crisply printed pure cotton towel with attached hanging loop is 19" x 28". Machine wash and dry.